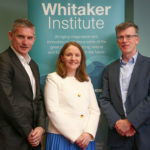 Dr Kieran Conboy and Dr Lorraine Morgan were recently awarded an Irish Research Council grant to evaluate the impact of national funding agencies and identify and validate new and improved funding mechanisms and strategies. The project will identify ways that national agencies can optimise the inputs, processes, outputs and outcomes of crowd sourcing efforts and maximise participation of individuals and firms with themes including gender and ethnicity, industry sector and location diversity. In addition to collaborating and shaping the funding structures of Irish funding agencies, such as the Irish Research Council, Enterprise Ireland and SFI, the team will collaborate with the Open Innovation Group at the University of California, Berkeley.